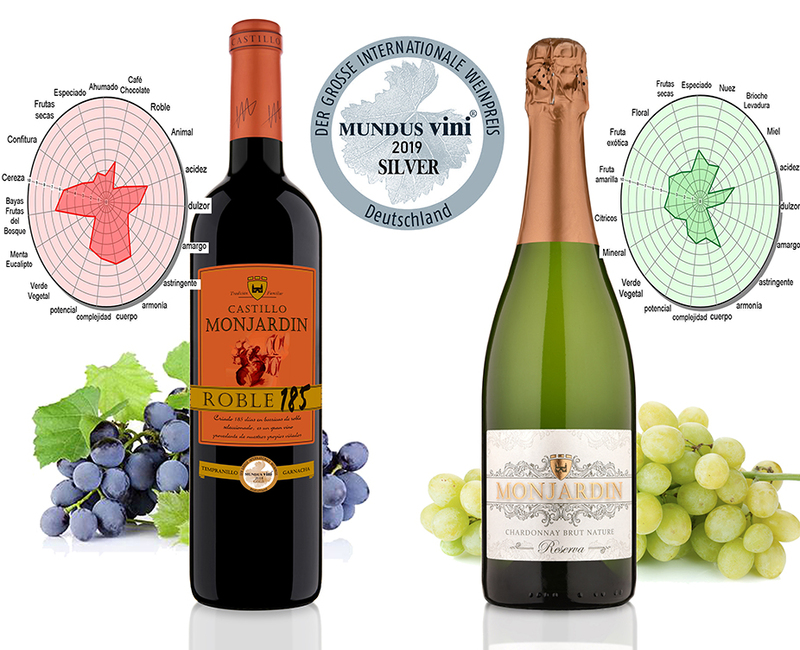 The tasting of the MUNDUS VINI International Wine Great Award ended at the end of February 2019. For six days, about 260 experts from 50 countries were able to taste the best wines from the 7220 submitted to the competition, from more than 150 wine-growing regions of the world. 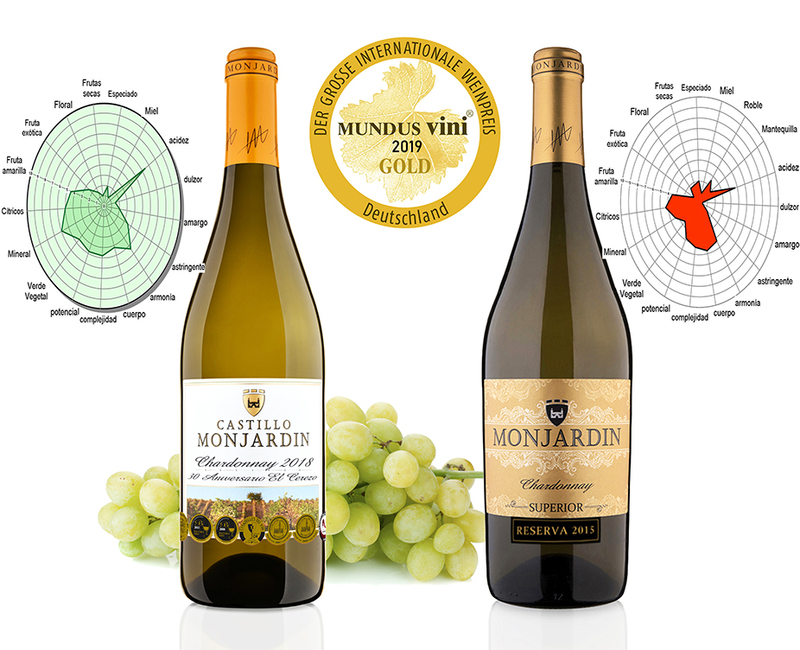 Bodegas Castillo Monjardín has been awarded with 2 Gold Medals to our Chardonnay White Wine "30 Aniversario El Cerezo" 2018 and Chardonnay Reserve 2015, the variety of grape for which our winery has always stood out in Navarra and Spain. As well as 2 Silver Medals to our red wine Roble 185 and our sparkling Chardonnay Brut Nature Reserve. MUNDUS VINI was founded by Meininger Verlag fifteen years ago and has been one of the most important wine competitions in the world. What for wine consumers means a valuable orientation, is for the producers the recognition of their work and their efforts. A professional jury made up of winemakers, wine producers and distributors, sommeliers and specialized journalists from all over the world taste wines, sparkling wines and liqueur wines without knowing the names of them. The wines are integrated into a tasting according to category, origin, quality level and type of flavor. The evaluation is carried out in accordance with the 100-point system of the International Organization of Vine and Wine (OIV), which is also recognized by the International Union of Oenologists (UIOE).